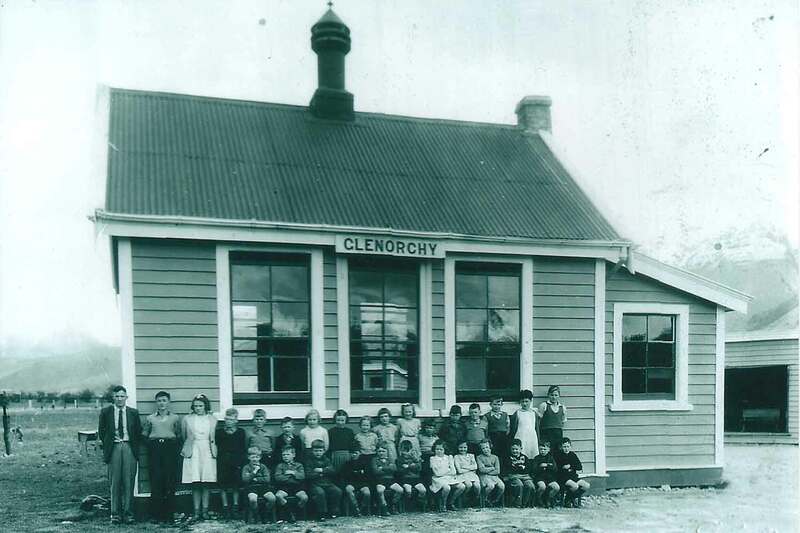 The very first school in the Glenorchy district was actually at Kinloch, which was a centre for sawmilling in 1884 when the school first opened. 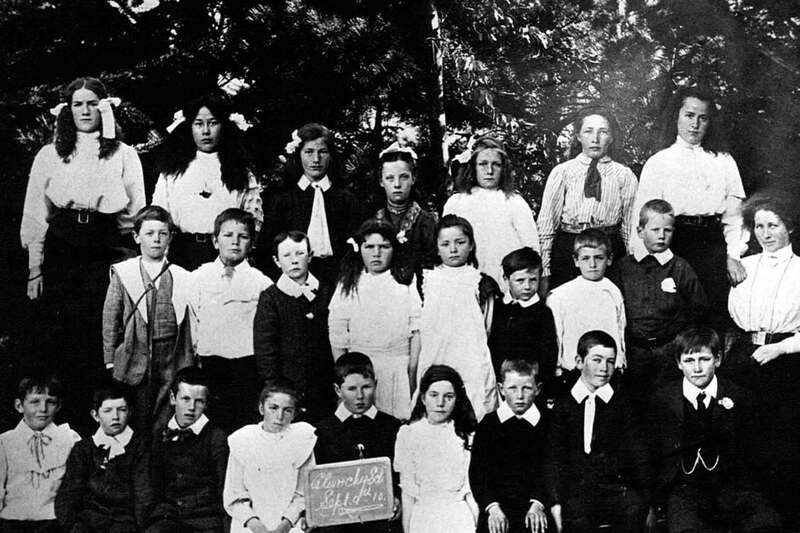 However, this school did not last long and in 1888, after the community had banded together to provide a building, a school was opened on the Glenorchy-Paradise Road. 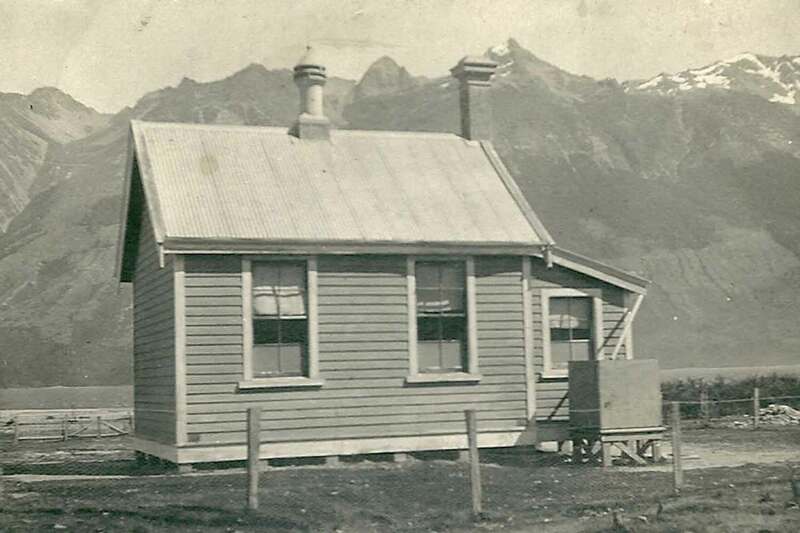 This became known as the Rees Valley School after a new school opened near the Bucklerburn in 1911 and this became the Glenorchy School. 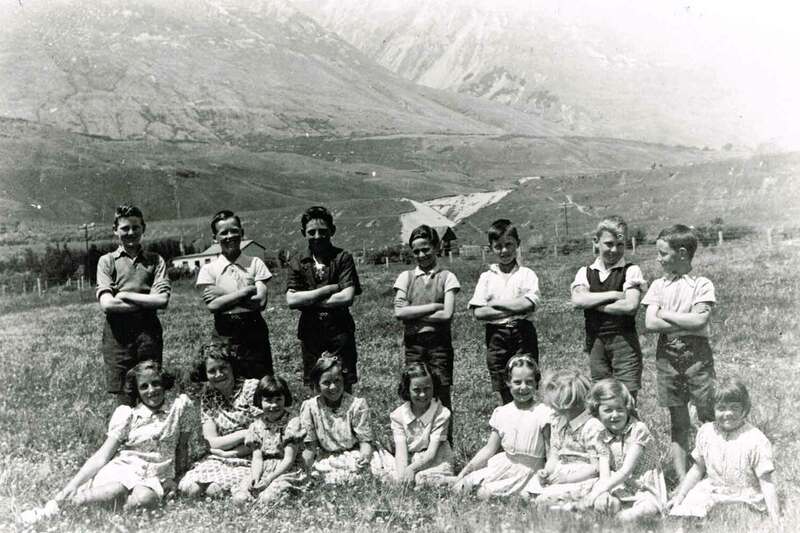 The new influx of scheelite mining families meant that a school was needed closer to the township. 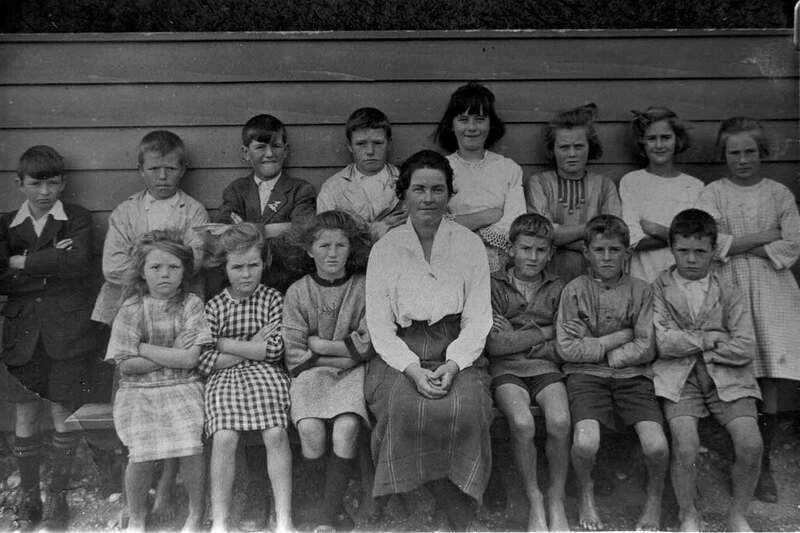 The new Glenorchy School had to move to it’s present site in 1939 because the Buckleburn was getting perilously close to the original site, and they also found that the new building was a bit of a liability in a good nor’wester and so in true Glenorchy style the community needed to pick the building up and swivel it round to make it function better on windy days! 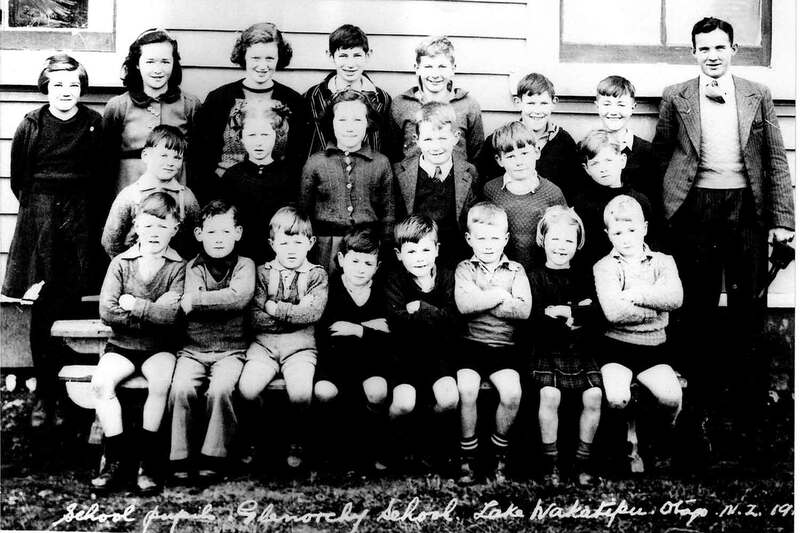 The ebb and flow of population has a dramatic effect on schooling in a small community like Glenorchy, with the school at times bursting at the seams and at others dwindling to low numbers in a single classroom. 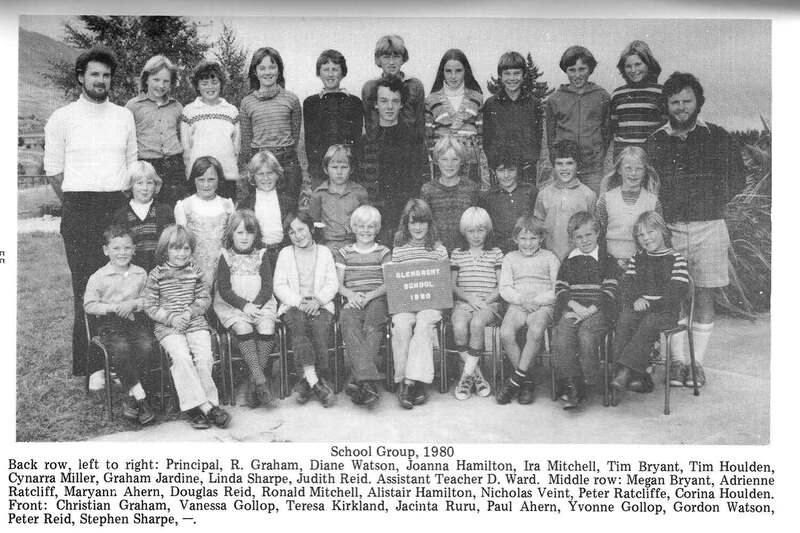 Last time the school roll fell to the point where it became a sole charge school with a single teaching principal was in 1987, and it regained its two classroom status in 1993. Since then a lot of energy has gone into maintaining the roll and the facilities and we are lucky enough to boast excellent classrooms, a technology room, a library and a large office space. Covered decking outside the classrooms allows the children to be outside at break times, regardless of the weather, and hard surface playing court does duty for multiple sports and games. 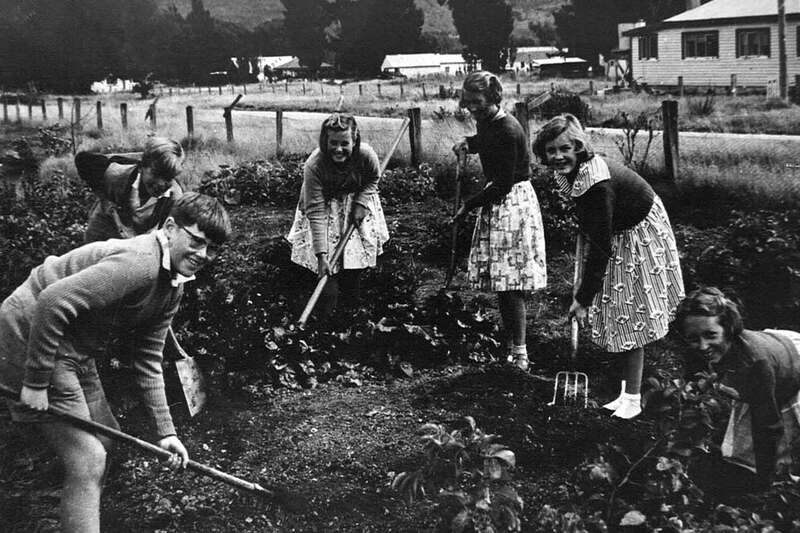 Education Outside the Classroom is a strong feature of the school year, including local and regional camps and tramps, and other activities such as ice skating in Queenstown and an annual ski camp to Coronet Peak. The roll sits around the 30; there we have the junior and senior classrooms. The school produces a fortnightly newsletter which includes both school and community news and it is available via email and this Glenorchy Community Website. 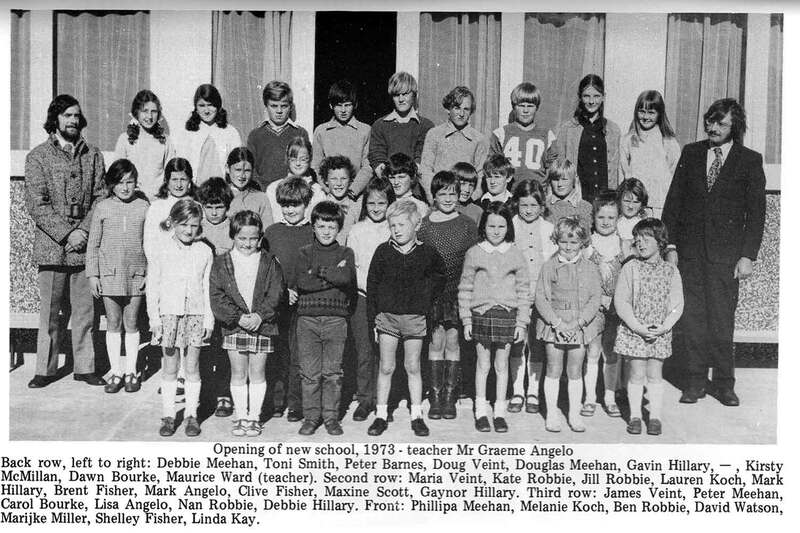 © Copyright Glenorchy School. All rights reserved.